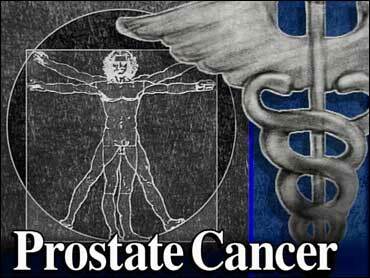 Prostate Cancer: Treat Or Wait? Elderly men with early prostate cancer may live longer if they receive active cancer treatment rather than simply being observed to see if their cancer spreads. In a study of nearly 50,000 elderly men with early prostate cancer, those who underwent an approach called "watchful waiting" survived an average of 10 years after diagnosis, compared with 13 years in the active-treatment group. "The men who were treated were only half as likely to die; 59 percent were alive at the end of the study vs. 27 percent of the observed group," says researcher Yu-Ning Wong, MD, a medical oncologist at Fox Chase Cancer Center in Philadelphia. The study was presented here at the American Society of Clinical Oncology's 2006 Prostate Cancer Symposium. "To treat" or "not to treat" is one of the most difficult dilemmas facing prostate cancer patients, especially elderly men with early prostate cancer — or small cancer that is contained within the prostate. Because prostate cancer often grows so slowly it may never become life-threatening, elderly men or those who have other medical problems may die of other causes before the cancer causes problems. But in other men prostate cancer can be fatal. As a result, doctors may recommend treatments such as surgery or radiation therapy for their patients, while others recommend a strategy of "watchful waiting" — closely monitoring men with prostate cancer for signs of tumor growth. The new study suggests that treatment is the better strategy, Wong tells WebMD. "Even in men aged 75 to 80 years, treatment was associated with a survival advantage," Wong says. "Men with early-stage prostate cancer should be considered for surgery to remove the prostate or radiation therapy." For the study, the researchers examined the Medicare and federal cancer registry records of 48,606 prostate cancer patients aged 65 to 80 years. The men survived at least one year after a diagnosis of early-stage prostate cancer. A total of 34,046 men underwent surgery or radiation therapy, while 14,560 underwent watchful waiting — close monitoring with PSA (prostate-specific antigen) blood tests. Rising PSA levels can be a sign of prostate cancer progression in watchful waiting. Maha Hussain, MD, a cancer doctor at the University of Michigan in Ann Arbor, urges caution in interpreting the findings because they come from examining the records of a group of men, rather than assigning half to treatment and the others to observation and following them over time. "In the United States, doctors now treat more than nine out of 10 men with early-stage prostate cancer," she tells WebMD. "Only very elderly, frail men are likely to be 'watched' instead of given treatment. "While this study would suggest that even these elderly men would benefit from treatment, the findings need to be confirmed in a prospective study [in which half of men are assigned to treatment and half to observation]," Hussain says. Sources: American Society of Clinical Oncology's 2006 Prostate Cancer Symposium, San Francisco, Feb. 24-26, 2006: Yu-Ning Wong, MD, medical oncologist, Fox Chase Cancer Center, Philadelphia. Maha Hussain, MD, professor of medicine, University of Michigan, Ann Arbor.